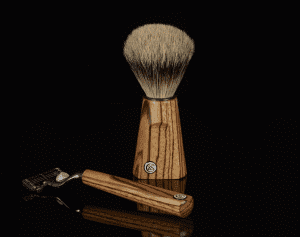 Possessing the right tools is crucial to obtain the best shaving results. Men who take pride in their appearance will take the time and care required to shave their beards with the sharpest effect, and this couldn’t be achievable without well designed, quality products. While shaving with a standard, disposable razor may help you “get by,” when you swap this for a finer product, the difference is undeniable. With an expansive range of shaving product options on the market, it can be easy to accumulate numerous products and increase the number of processes in your shaving routine. Refinement is key, and by selecting a set of complementary products which work together in harmony, will provide a sleeker, improved approach in attaining a greater shave. At Czech and Speake, our standards are high. We believe to carry yourself like a true gentleman, grooming is crucial; every gentleman should own a refined, high-quality luxury shaving kit. To create the desired shaving lather, use a good quality shaving brush. The right shaving brush will exfoliate the skin and lift the hairs of the beard away from the face, aiding the razor blade to glide and cut through them effortlessly. If possible a badger hair shaving brush is recommended, (the higher the grade of badger hair the better the shave). Try to avoid Synthetic bristle shaving brushes. A shaving razor will vary dependent on your favoured shaving method (most common types include Mach3 razor, cut-throat razor, straight razor, open razor or safety razor). Our shaving razors at Czech and Speake are mach3 and are created with the intention to give a close, smooth shave and are kinder to the skin. Investing in a good razor is essential for the perfect shaving kit as it is this tool that will provide the most visible effects. 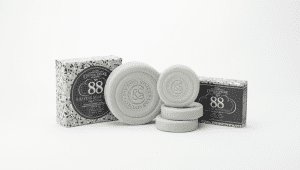 An important palliative essential which not only protects your skin and softens the beard, a good shaving soap permits the razor to glide readily and safely over the contours of your face, to attain the most even and closest of shaves. A luxury aftershave with your favourite notes is the perfect finish to a good shave. Apply over the shaved area of your face liberally. Our aftershaves contain carefully selected scented natural oils and slightly antiseptic properties to pleasantly tighten the pores and soothe the skin. This blend conserves skin hydration and helps ease the irritation often caused by shaving. Shaving sets, shaving kits and shaving stands not only safeguard the gear to be stored properly and securely, but also contribute to the luxury aesthetics of your bathroom suite. 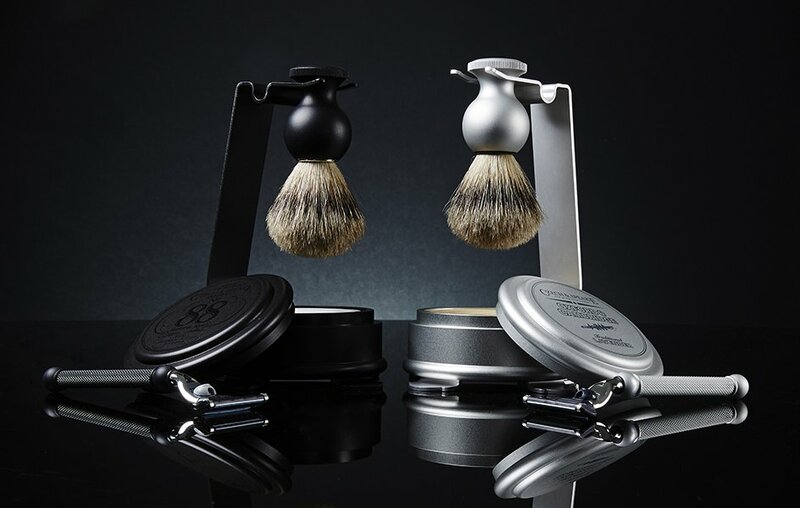 Our Oxford & Cambridge shaving kit and stand are one of the most popular selling shaving products. Good shaving equipment is designed to be accessible to you so that ‘the perfect shave’ can still be attained on your trips away. With intelligent shaving equipment such as travel razors, travel shaving brushes and travel aftershave readily available, you don’t have to compromise simply because you are away from home. Sophisticated wash bags to hold your shaving components means safe and easy storage on your travels. For the perfect shaving kit essentials, head over to our shaving kit ranges and purchase quality products that will guarantee you an enhanced shaving experience.